• Friedman, Furberg & DeMets (3rd edition, 1998) Fundamentals of Clinical Trials. Springer-Verlag, NY, NY. • Dantas, C.A.B. Probabilidade: Um Curso Introdutório, Edusp, 1997. • Feller, W., Introduction to Probability Theory and its Applications, vol. I, 3rd.ed. 1968. • Hoel, P.G., Port, S.C., Stone, C. J.. Introdução à Teoria das Probabilidades, Interciência, 1978. • Mood, A.M., Graybill, F.A., Boes, D.C. Introduction to the Theory of Statistics, 3rd.ed., Mc Graw-Hill, 1974. • Ross, S.M., Introduction to Probability Models, 4th.ed., Academic Press, 1989. • Woodroofe, M., Probability with Applications, 1975. • Jones B and Kenward MG. Design and Analysis of Crossover Trials. Second Edition. Chapman and Hall, London, UK, 2003. • Winer, B.J., Statistical Principles in Experimental Design, McGraw-Hill Kogakusha, 1971. • Collet, D., Modelling Survival Data in Medical Research, 2nd Ed. Chapman & Hall/LRC, London, 2003. • Bates, E.M., Watts, D.G., Nonlinear Regression Analysis and its Applications, Wiley Series in Probability and Mathematical Statistics, 1988. • Greenacre, M.J., Theory and Applications of Correspondence Analysis, Academic Press, London, 1984. • Johnson, R.A., D. W. Wichern, D. W., Applied Multivariate Statistical Analysis, Prentice-Hall, 4rd.ed., 1998. • Hair, J.F., Tatham, R.L., Anderson, R.E., Black, W., Multivariate Data Analysis (5th Edition), Upper Saddle River: Prentice Hall. 1998. • Mardia, K.V., Kent, J. T., Bibby, J.M., Multivariate Analysis, Academic Press, 1979 . • SILVA, Nilza Nunes da. Amostragem Probabilística: um curso introdutório. EDUSP, 2. ed. São Paulo, 2001. • Fuchs, F.D. ; Wannmacher, L., Ferreira, M.B.C. Farmacologia Clí­nica. Fundamentos da terapêutica racional. 3ª ed. Rio de Janeiro: Guanabara Koogan, 2004. • Hardman, J.G. ; Limbird, L.E. ; Molinoff, P.B. ; Ruddon, R.W. ; Gilman, A.G., Goodman and Gilman s. The pharmacological basis of therapeutics. 10ª ed. New York: McGraw-Hill, 2001. • Rang, H.P. e Dale, M.M., Farmacologia. 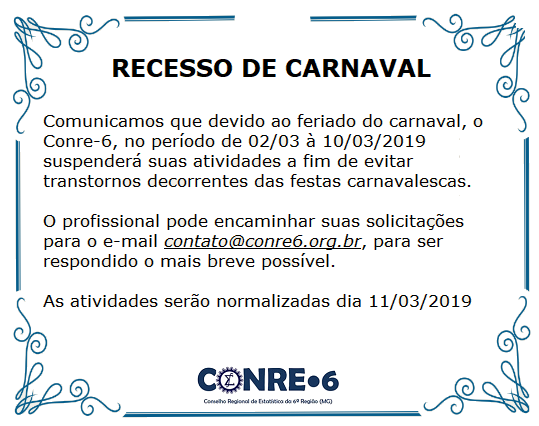 5ª ed. Rio de Janeiro: Editora Elsevier, 2004. • Rowland, M. and Tozer, T.N., Clinical Pharmacokinetics: Concepts and Applications, 3rd edition, Lea and Febiger, Philadelphia, 1995. • Shargel, L.and Yu, A.B.C., Applied Biopharmaceutics and Pharmacokinetics, 5th edition, Appleton and Lange, Norwalk, CT, 2005. • Tozer, T.N. and Rowland, M., Introduction to Pharmacokinetics and Pharmacodynamics (the quantitative basis of drug therapy), 1st edition, Lippincott William & Wilkins, 2006. • Becker, R.A., Chambers, J.M. & Wilks, A.R., The New S Language. A Programming Environment for Data Analysis and Graphics. Wadsworth & Brooks/Cole Advanced Books & Software. California, 1988. • Kennedy Jr., W.J. & Gentle, J.E., Statistical Computing. Marcel Dekker, Inc., New York, 1980. • Mambrini, j., Pansanato, K.A. & Sátyro, N.G.D., Curso Básico de SPSS 7.5. PROAV-UFMG, Belo Horizonte, 1999 (disponível em ftp://ftp.est.ufmg.br/pub/soft/SPSS/spss_basico.pdf). • Minitab Inc. Meet MINITAB, EUA, 2004 (em português, disponível em ftp://ftp.est.ufmg.br/pub/pac/MINITAB/meetminitabpg.pdf). • Press, W.H., Teukolsky, S.A., Vetterling, W.T. Flannery, B.P., Numerical Recipes in C. The Art of Scientific Computing. Cambridge University Press, 2a. ed., 1992. • Reis, E.A., Noções Básicas de S-PLUS for Windows . RTE-03/1997, EST-ICEx-UFMG, Belo Horizonte, 1997 (disponível em ftp://ftp.est.ufmg.br/pub/rts/rte9703.pdf). • Soares, J.F. & Rodrigues, M.D.F., Introdução ao Software MINITAB for Windows . RTE-01/2001, EST-ICEx-UFMG, Belo Horizonte, 2000 (disponível em ftp://ftp.est.ufmg.br/pub/rts/rte0101.pdf). • Soares, J.F., SPSS. EST-ICEx-UFMG, Belo Horizonte, 1999 (disponível em ftp://ftp.est.ufmg.br/pub/soft/SPSS/spss.pdf). • Venables, W.N. & Ripley, B.D., Modern Applied Statistical with S-PLUS . Springer-Verlag, 2a. ed., New York, 1998. • Venables, W.N. & Smith, D.M., An Introduction to R. R Development Core Team, 2004. (disponível em ftp://ftp.est.ufmg.br/pub/soft/R/R-intro.pdf). • Chellini, P. R. Boas Práticas Estatí­sticas em Estudos de Bioquivalência com Crossover 2x2. Dissertação de Mestrado, Departamento de Estatí­stica da UFMG, 2007. • Chen K-W, Chow S-C and Li G. A note on sample size determination for bioequivalence studies with higher-order crossover designs. Journal of Pharmacokinetics and Biopharmaceutics 1997; 25:753-765. • (2Âª ed.). Marcel Dekker: New York, 2000. • Chow, S.; Shao, J.; Wang, H. Sample Size Calculations in Clinical Research. Marcel Dekker, 2003. • Chow, S.-C.; Shao, J.; Wang, H. A note on sample size calculation for mean comparisons based on noncentral t-statistics. Journal of Biopharmaceutical Statistics, v. 12 (4), p. 441 445, 2002. • CHOW, S.-C.; WANG, H. On sample size calculation in bioequivalence trials on sample size calculation in bioequivalence trials. Journal of Pharmacokinetics and Pharmacodynamics, v. 28 (2), p. 155169, 2001. • Chow S-C, Wang H. On statistical power for average bioequivalence testing under replicated crossover designs. Journal of Biopharmaceutical Statistics 2002; 12:265-309. • Hauschke D, Steinijans V, Pigeot, I. Bioequivalence Studies in Drug Development: Methods and Applications. John Wiley: New York, 2007. • Julious SA. Tutorial in biostatistics: Sample sizes for clinical trials with Normal data. Statistics in Medicine 2004; 23:1921-1986. • Petterson S, Jones B. Bioequivalence and Statistics in Clinical Pharmacology. Chapman & Hall, 2006. • Qu RP, Zheng H. Sample size calculation for bioequivalence studies with high-order crossover designs. Controlled Clinical Trials 2003; 24:436-439. • Siqueira AL, Whitehead A, Todd S and Lucini MM. Comparison of sample size formulae for 2x2 cross-over designs applied to bioequivalence studies. Journal of Pharmaceutical Statistics 2005; 4: 233-243. • Wellek, S. Testing Statistical Hypotheses of Equivalence. Chapman & Hall/CRC, 2003. • Willavize SA, Morgenthien EA. Comparison of models for average bioequivalence in replicated crossover designs. Journal of Pharmaceutical Statistics 2006; 5: 201-211. • Williams EJ. Experimental designs balanced for the estimation of residual effects of treatment. Australian Journal of Scientific Research. 1949; 2:149-168. • Zhou J, Yuan Y, Chen M and Coate B. Empirical power for higher-order crossover designs in comparative bioavailability clinical trials. SAS Users Group International 2005; 30: paper 184.